Just a few things to share with you this week. First off Crafty Sisters made the cutest Halloween topiaries with candy. 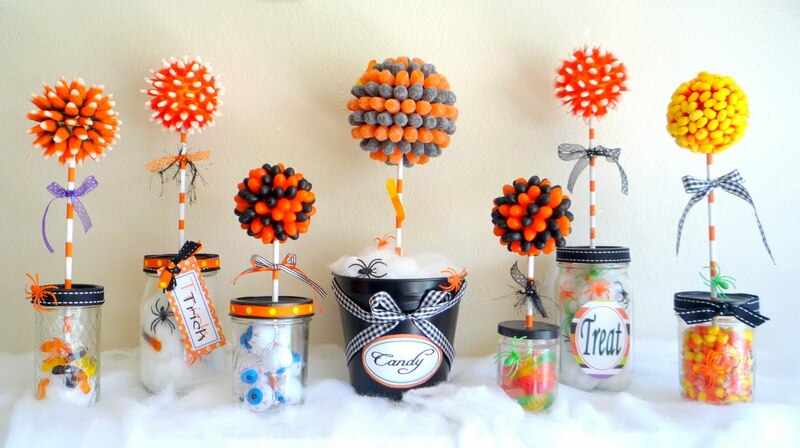 These are seriously adorable and would be so fun for a party or just to decorate a table scape or mantle with. LOVE this idea! 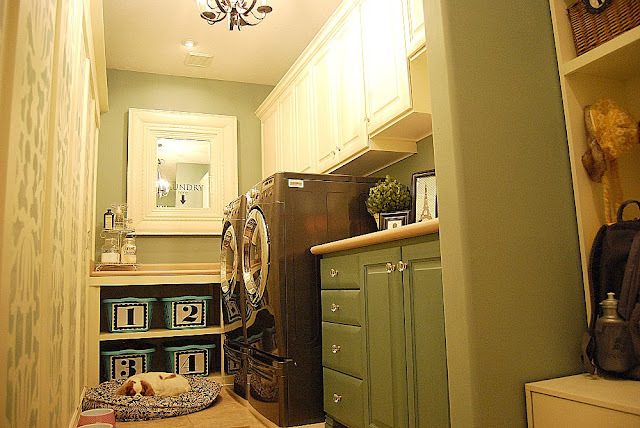 And finally I cried a little when Jen at Tatertots and Jello revealed her laundry room redo. Our laundry room is the most neglected room in our house... which wouldn't be so bad if we didn't have to walk through it to get to our garage, like ALL THE TIME. I am SO jealous of this space. But seeing the fabulousness has inspired me to add decorating the laundry room to "the list." Well, that's it for now but I can't wait to show you what I have been working on this week. It turned out way cute if I do say so myself! Plus I have a fun Scrumptious Sunday scheduled so be sure to check back. See you next week!